The Best Ways To Lose Weight With Spirulina | What Is Spirulina? If you haven’t heard by now, spirulina is truly one of nature’s most amazing natural medicines. Its uses are endless, but high on its list of benefits is its ability to naturally aid your weight loss goals. If the New Year has you inspired to slim down, shed some weight, or just feel your fittest and best in your skin, adding spirulina to your routine in any of the following ways is a must. Whether you’re a fan of eating it, blending it into smoothies, or taking it on in tablet form, there’s an option for every lifestyle, so start working it into your daily diet for your healthiest 2017 possible. 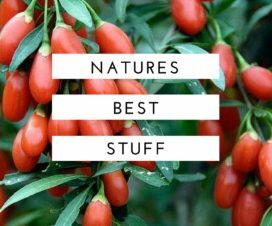 If you want to try spirulina, check out our best list of spirulina brands from around the world. This blue-green algae is lauded for a myriad of reasons: packed with nutrients, vitamins, essential fatty acids, and protein, there are just about endless reasons to love its benefits. Its taste? Not so much. For most palates, the algae is a bit harsh on its own, but luckily there are plenty of ways to add it to your snacks and meals so you won’t even know it’s there, and you’ll still be getting in all the weight loss perks. One of the most brainless ways to get your daily dose of spirulina in is via a delicious smoothie that you can enjoy at your desk, on the go, or as you’re rushing out the door. Packed with protein, essential fatty acids, and a high nutrient content, spirulina will help to bulk up any favorite smoothie recipe and will keep you full and energized for longer than the typical smoothie. 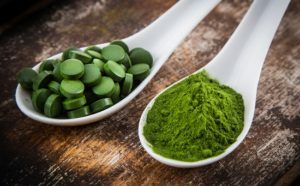 If you’re looking for the quickest and most brainless way to make sure you’re fueling your body on the regular with all of its benefits, spirulina can also be taken in tablet form. This route is especially effective when taken right before a meal. 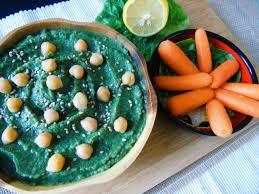 Because of the high protein content in spirulina, you’ll feel less hungry and will be better able to control cravings. You might even notice you’re no longer nearly as tempted to succumb to that drive thru or quick vending machine snack. By giving your body the nutrients it naturally needs and craves, you’ll find your temptations for junk fading away. You’ll get the most benefit from taking it before a meal, or early to middle of the day, rather than at night. Since your body will have to work harder to metabolize it, due to the high protein content, you’ll ramp up your fat burning capabilities and have an easier time shedding extra those lbs. 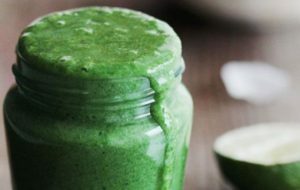 If you’re wanting to think a bit outside the smoothie or pill box, there are plenty of creative ways to work spirulina into your diet and into your actual meals. Depending on your taste buds and culinary inclinations, the options are just about endless, but for starters, consider adding it into hummus, which will lend a beautiful, rich color, and amp up the health benefits of this snack. You can also mix it into homemade salad dressings, like any extra virgin olive oil and balsamic vinegar concoctions or homemade avocado dressings (where you won’t even notice the extra color!) You won’t taste the powder, but your salads will gain even more nutrients than usual. If you’re feeling inventive, consider adding it to unexpected places like soups, homemade ice creams, scrambled tofu or omelets, or homemade energy bars. Just remember to add the powder near the end of any cooking process when possible, since it can be heat-sensitive and you don’t want to cook off any of the weight-loss benefits. If weight loss is a goal of yours in the New Year, or if you’re simply looking to boost your health and feel your best, forget fad diets and crash detoxes, and instead turn to what we like to think of as the spirulina diet. Simply add it into your diet however you choose and reap the weight loss benefits. Along with an overall healthy lifestyle, clean diet, plenty of rest and hydration, spirulina is truly one of nature’s most impressive secrets, so do your body a favor and get in your daily dose.